Addiction does not choose its victim. And some famous celebrities are not an exemption to this. Anxiety, depression, and many others issues can plague celebrities which can lead them towards a downward spiral. There are many possible origins of addiction as well as many interventions attempted to help them overcome it. Some are successful in the path to recovery while others do not make it through and give up on their fight. What matters most is that there are these tough celebs who have overcome their issues and have bounced back to reclaim their stardom. 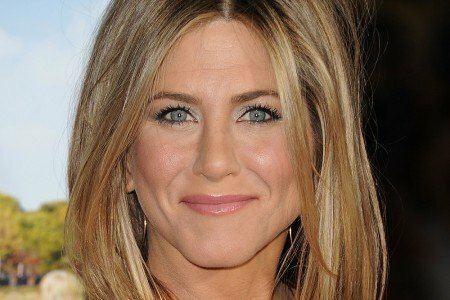 It may come as a surprise but actress Jennifer Aniston once resorted to smoking. She was acting on her hit show Friends when her chain smoking habit became out of hand. In 2007 Jennifer decided to say goodbye to her vices. She underwent an intensive detoxification to clean her system. Up to this day, Jennifer stays nicotine-free through regular exercise. Marshall Mathers, or known to many as Eminem, admitted to being a drug addict. The famous rapper detailed how his drug addiction got out of hand way back in 2005. Eminem recounts that after an overdose, his doctor told him that if he had arrived 2 hours later he would be dead due to organ failure. The Lose Yourself rapper eventually decided to put an end to his addiction and resorted to physical exercise and running. By the time he was recording his album Recovery, he lost his appetite for drugs that used to help him function and finally overcame the addiction. Remember the iconic star shaving her head? The Oops I Did It Again singer and star was considered to be suffering heavily from the effects of drug addiction in 2007. Those close to Britney revealed to the media that her substance abuse was problematic long before she became famous; she did marijuana, cocaine, and frequently used methamphetamine. In 2008 the celebrity turned to rehabilitation and cleansing and had taken a break from the spotlight. The mother of two has been recovering since. She appears in films as the pretty little good girl. But the actress had an unfortunate childhood growing up around people who were drug users and addicts. She began smoking at age 9, began alcohol abuse at age 11, regularly smoked pot by 12, and when she turned 13, she got addicted to cocaine. The actress kicked her old habits and decided to turn her life around. She started cleansing herself and since then, has managed to be sober and free from substance abuse. Considered as one of the youngest artists who fell prey to addiction, Demi Lovato openly shares about her issues with drug and alcohol abuse. Demi’s story also includes her battles against eating disorders and being diagnosed as bipolar. This led her to self-medicate with alcohol, cocaine, and OxyContin. The singer went into rehab on 2010 when she was just 18 and checked into a sober house by 2013 to help her continue with her sobriety. To this day, Demi maintains a clean lifestyle and continues to be an inspiration to young girls around the globe who also go through body image issues and self-harming tendencies. Truly, her Fight Song resonates with many others suffering. Famously known for his role as Harry Potter in the series of films, Daniel Radcliffe has opened up regarding his private battle against alcohol abuse. Daniel started alcoholism way back 2007 while filming the globally popular wizard movies. As soon as the actor realized he was living a stereotypical Hollywood life, he decided to live his life without alcohol and chose to remain sober up to date. He claims he finds it easier to replace alcohol with a more quiet social life. Daniel also enjoys reading a good book and dinners with family and close friends as alternative to alcohol consumption. Before becoming the godfather of the Marvel Cinematic Universe as Tony Stark in the Iron Man films, Robert had a dark period in his life. The superstar suffered drug addiction since his teenage years until his thirties. He was on the wrong Side of the law and had been to prison more than once and was sent to rehab programs a couple of times. With the help of his friend Mel Gibson, Robert decided to quit his addiction in hopes of reviving his career. 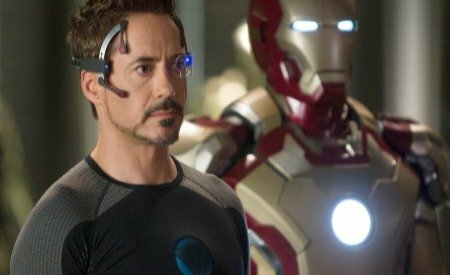 This decision did not fail him after landing the role of Tony Stark/Iron Man in 2008 and he was able to make a huge comeback to the industry. A decade later and Robert continues to manage being clean and sober.